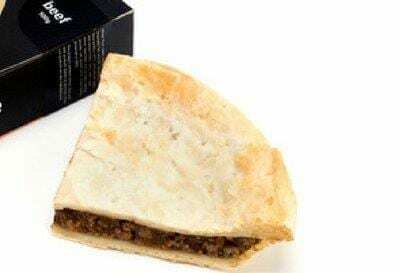 100% beef mince, combined with Kytons secret herbs and spices and encased in flaky pastry. We only use 100% beef mince in all of our Pies at Kytons. Great by itself or served with steamed vegies and mashed potato for a tasty winter dinner.